The first Double Gameweek of the 2018/19 season will have a big impact on the Fantasy Premier League captaincy. Mohamed Salah (£13.6m) has been the No 1 pick in each of the last two Gameweeks. But with Manchester City and Everton both playing twice in Gameweek 25, Salah seems unlikely to remain the favourite. City host Arsenal before visiting Goodison Park in midweek, while Everton entertain Wolverhampton Wanderers at the weekend. Sergio Aguero (£11.3m), Raheem Sterling (£11.3m) and Leroy Sane (£9.7m) are expected to be the main challengers for Pep Guardiola's side. Owned by 26.2 per cent, Aguero is City's most popular player in FPL. He has produced 5.7 points per match (ppm) this season, although he could face competition from Gabriel Jesus (£10.1m) for a starting role in one of those two fixtures. 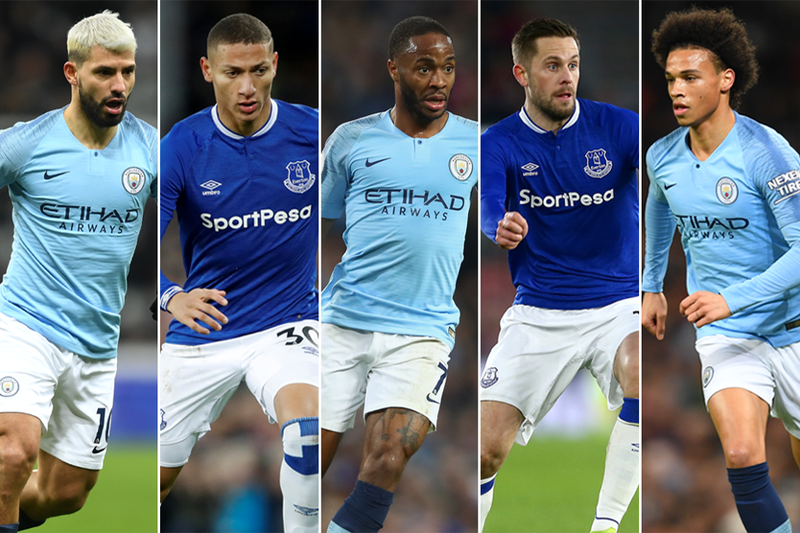 Sterling and Sane were rested for both Man City's cup encounters in the last week, raising their chances of starting against both Arsenal and Everton. The pair have averaged 6.9 and 5.9 ppm respectively in 2018/19. Everton midfielders Gylfi Sigurdsson (£7.4m) and Richarlison (£6.8m) should not be overlooked for their two Goodison Park matches. At home, Sigurdsson's total of 36 shots sits second among FPL midfielders. Richarlison produced a combined 16 points against Wolves and Man City earlier in the season. FPL managers willing to overlook the Double Gameweek options are likely to focus on Salah. He has six double-figure hauls in the last nine Gameweeks ahead Liverpool's trip to West Ham United. Salah's fellow FPL midfielders Son Heung-min (£8.6m) and Paul Pogba (£8.7m) are also in outstanding form. Tottenham Hotspur's Son has nine goals and six assists in his last 10 starts and welcomes Newcastle United on Saturday afternoon. Pogba travels to Leicester City having averaged 9.9 ppm under Manchester United caretaker manager Ole Gunnar Solskjaer.